The Green Spatula – Christine Dobosz teaches how to break up with diets for good so we can heal our relationship with food. 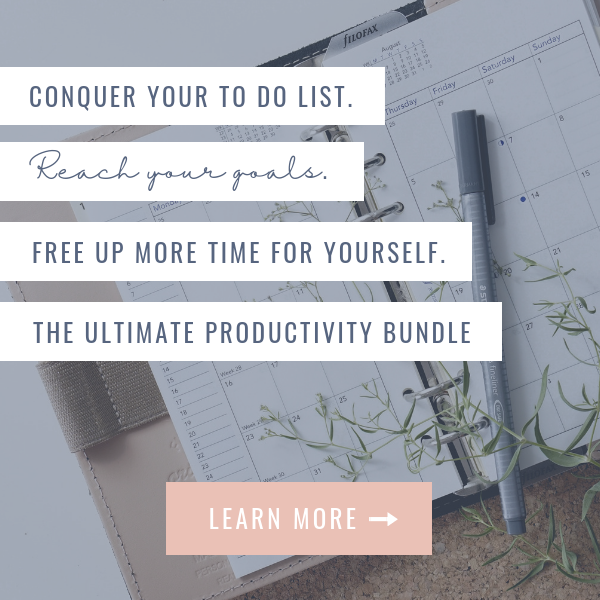 Improve Your Time Management Skills In 5 Simple Steps – Alyssa Burgoyne has 5 simple steps to improve your time management to bring more breathing space to your day. The Prosperity Shift – Mimi Quick overcomes a health crisis to find true prosperity in finance and life. 3 Healthy Snacks You Should Be Eating – Ocean Robbins shares his favorite healthy snacks to keep you energized and vibrant throughout the day. Boosting Body Image – Mira Rocco shares how to embrace yourself so your voice becomes stronger and louder allowing you to live the life you fully deserve. Fix Your Period For Good – Nicole Jardim empowers women to take away all the pain and taboo of having a period. Mimi Quick surprised doctors, friends and family when she healed her body in the 1990s by just using her mind. After discovering for herself the power of her mindset, she decided to use the same principles to heal on creating prosperity in all areas of her life. She truly used the power of attraction to purchase a home in her 20s, to attract her soulmate within three months (that was 17 years ago!) and to manifest the life of her dreams. Her story is fascinating as it began by being a school teacher who began to feel a different calling. She listened to the call and once she stepped into it, she created psychic coaching well before the concept of intuitive coaching became comm. An innovator at the forefront of the mindset movement, Mimi has helped businesses earn millions and entrepreneurs clear up their money blocks. What’s your mission? Tell us about your organization / business. Mimi Quick & The Spiritual Business Institute is a training and coaching company created as a one stop shop to help created with the intention of every women who stepped into it to get the understanding, awareness, and insight for her to grow into her next money level with spirit, love, and joy and to allow an ease and alignment into their businesses, minds, bodies, and souls so you can attain your goals and prosper in all areas of life and business. You learn with me by your side walking you step by step how you can prosper and what’s been in the way to you next levels of prosperity and we have lots! I remember when I was hiding in the library looking for a book that would help me articulate my gifts better to the peers that would come to me in high school because everyone wanted advice, insights, and readings from me and it was super easy to share exactly what their next steps or what the message was for them. I never found the teachings that I shared with people in any book and there were no how to’s in any book either so I created my own ways. In the books what I found were tons of ideas, explanations, and other points of view and teachings but not what could help them the way that I knew how and as quickly as I could. The answer was me. Everyday at lunch hour I was asked to give readings then parents started asking me about their business, this was huge. I was 3 when my gifts were ON fully turned on and they have not stopped being on since then. I needed space so I created it by being in a quiet place the library or my love of music. I continued being who I am. In my 20s I started to teach. Later on this calling which is my gift came in louder and louder until I couldn’t teach in public or private school anymore, it was time to teach my teachings. I started to evolve into my work and grow into it even more. You can try to silence your gift but it won’t be silenced at least that’s true for me. I stepped into coaching and training quickly. Everyone has their own timeline but for me things moved quickly as soon as I made the decision. And let’s be clear I stopped before I had anything else lined up. Stepped out into faith and started with spirit one step at a time, which felt like 20 all at once for me. Tell us about the “start-up scares”: Was there a moment where you ever seriously contemplated quitting? When I first started to talk about my abilities were at age 3 and the reaction from my mother was so off it scared me but I couldn’t stop being me. Every time I had a vision of the past present or future and I told her about it she would rush me to the church and have a priest read the Bible over my head seriously. .I’ve cleared all of that energy because even when I was 3 I could see people’s limiting beliefs fears and stuckness. I know who I am and how to use my powerful gifts. There was a moment, I call it my moment with God, when I asked if this was all you’d like me to do? Help people move from lack and scarcity mindset and energy to prosperity and then I was shown HOW BIG this is and how many areas I actually do help women in. That is a time I will never forget. The start-up scares: for me it’s more about learning what is needed to effectively share my message with more women. Like the technology and all the new things that come in year to year. That can be scary and frustrating but for me its fun knowing more women can get their money stories aligned and shifted. Did you ever “fail” or make a substantial mistake in business or organization? Any serious Challenges? How did you overcome and resolve it? The only time anything failed for me is when I didn’t listen to spirit which is very rare. I’ve learned to only do what spirit and my soul tell me to do and things always work out well. I always check in, I have to it’s who I am! This can be hard at times because you may want to do something and logically it just seems right but when spirit says no. I know it is for a bigger reason and I always get confirmation as to why that is after the fact. I get an email, a sign, or something like that that tells me why it was my best choice! When I first started out in 2007 online I listened to other teachers and people who were not aligned spiritually, in their business, and coaching career. This felt off for me but they projected success. I learned early on and with my psychic insight things are not what they seem and I talk about this in my programs now. I saw peoples pain and stuckness so I became the mentor I wish I had. That’s when I quickly realized that I was to go out on my own and create a new way, a path for the ones who were not going to be copies of the same. I thought to myself. WOW this is going to be BIG…and no one else is doing this. A leader is a loner for a moment I thought then that thought vanished. What’s the most impactful action you’ve taken to reach your goal/s? Saying yes to my vision every time it grew. I healed my body .. I talked about things that others didn’t; energy, money, business, success, and your own powers that help you prosper. My one and only Mentor in 1994 is the man who helped me step into my power, heal, and become a leader in business and my life. The rest I get from my connection to source /spirit. I also invest in learning about technology etc to help get my message out into the world. What would you tell your younger/earlier self? Any piece of advice? I would say Mimi, I love you. You’re doing great. You’re on your path and you’re helping a lot of people. And she would say, yes, I know. Have fun! Be yourself. What the best advice YOU’VE ever received about pursuing your vision? The best advice was given to me by my mentor in 1990s: is that I’m more powerful than I know and to do only the things that bring me joy, happiness, love, money, prosperity. Has having success in your business/organization or money changed you? In what ways? As the gal who answers and coaches women on money answers & questions I would say yes, yes I have more money and a beautiful business and no because I am ME. For me money is an energy. I attract it and it loves to stay with me. It has not changed my core and heart. I’m who I am and that will never change. I see how people respond around me and being successful. I’m still exactly who I am. I’m bold, loving, and help women get results quickly. How do you create, innovate or break the rules in your life/business/organization? I don’t follow the crowd. I see trends and create them not follow into them. Every launch has been successful because for me I have a system that works and its not always about the gadgets and technology you are using. It is about your mindset, energy, and focus! The great thing is when I apply my own teachings on this I only attract the best most amazing women into my private coaching and group programs and courses. The most memorable one was my first one when we offered it and women flocked into the sacred space at that time $20,000 was my top Premium Program that I had created online and launched it, it was a beautiful moment then and it still is now, it has the same joy and love energy every time I launch now. The only things that makes any launch a success is the energy you attach to it and your alignment with it, fears need to be dealt with on the spot, and any other things that come up if not super important must be handled or put on a list for an assistant or for you to do later. Your mindset, focus, and energy is #1. It’s what makes all the difference I know this because I do it, teach it, live it and have seen women have extraordinary results 6 figure events, 5 figure launches, more sign-ups for their retreats, when they’ve worked with me and I help them apply the right mindset, focus, and energy to their businesses and launches. How you know which one you are doing is by your results. If you don’t like your results it’s time to search within and see what is stopping you from celebrating them. Get specific as much as you can. Start to shift into the desired state of being of how you would like to feel around money and this will help SHIFT your results and you’ll become attractive to money. Money has ears and legs. If you criticize others who have it or criticize money in your everyday talk it will run far away from you. Money has an intelligence and it feels what you feel. If you want money to stay with you, speak about it in kind and loving ways. Bless it and more will come your way. Speak of it negatively and talk about it in scarcity and lack ways and it will run away from you. Be yourself! Your Business is an extension of who you are. Your mission is part of this equation and you live your gifts everyday. This is something for you to print out and post on your desk! Remember that you are a magnificent being full of power and you are here to use it for good because everything you do comes back to you, it will find a way. There are universal laws that are here to help us everyday. It is our responsibility to awaken to them and utilize them . When working with people in your business, remember they are people, treat everyone with kindness and respect as well as how you would like to be treated. To be prosperous you must first begin within! Mimi Quick is an international Speaker, Coach, Business Mentor and #1 Best Selling Author of : Your Big Money Shift and Defy All Obstacles to Prosperity. She began her coaching career over 2 decades ago after leading leadership teams for years and receiving awards for her intuitive and visionary marketing, cutting edge coaching style that skyrocketed business sales and enrollment. She became the go to person online known as the Prosperity Muse & Psychic Business Mentor around money, business, and spirituality helping female entrepreneurs and students align so that they can prosper. Mimi owns a spiritual business coaching and training company, The Spiritual Business Institute, a one stop shop to help you create a new relationship with money, align to success and prosperity. 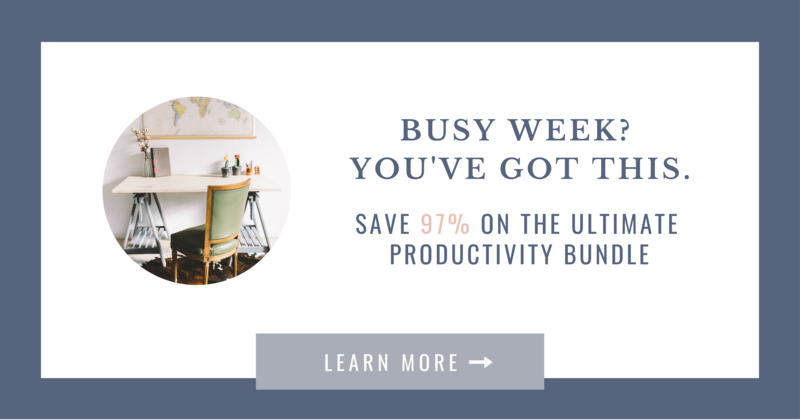 Facilitating over 20,000 1-1 sessions, 300 live workshops, and hundreds of live online trainings, 30 plus courses on business, systems, and more. Mimi knows exactly how to help you shift into your next level of prosperity, lead with your gift, learn much needed business skills, help you brand, clear any business and money blocks, plus so much more. Her trainings can help new budding entrepreneurs in all industries as well as seasoned entrepreneurs who are ready to reach their next level of prosperity and success. You can find her on mimiquickcoaching.com and mimiquick.com. Sign up for Mimi’s museletter and you’ll receive a free money meditation you can get started with right away. Plus if one of our mini courses speak to you then use this link it is only for your Mindful Mavericks magazine readers.